QQ Music released 我对我 The Player MV a couple of days ago: it alternates between Jolin performing in three different cosplays and clips from the game ! 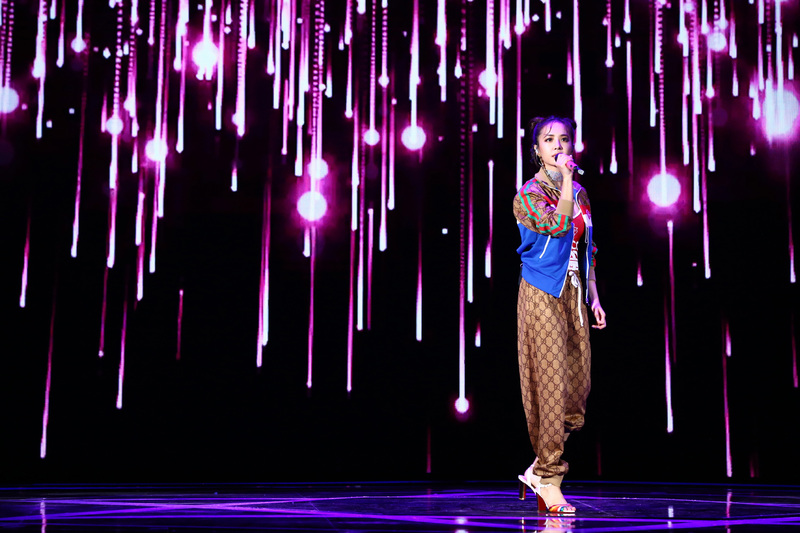 我对我 The Player won’t be featured in Jolin’s upcoming album, whose release is scheduled for the end of the year. Jolin performed three songs yesterday at DNF 10th anniversary party in Shanghai, including her latest single 我对我 The Player. Finally, English and French translations for 我对我 The Player‘s lyrics are now available ! Click on this link to access them: The Player lyrics, pinyin, English & French translation. Don’t forget that you can find lyrics, pinyin, English translation, and French translation* for every Jolin song, just by clicking on “Lyrics and Clipography” in the menu bar above ! Next postJolin shares more info about the new album’s progress with QQ Music !